Welcome to the 3rd largest state of India! There is much to see and do when you are on my land. You can enjoy the Maharashtra State Tourism with the view of majestic mountain ranges that stretch into mists as long as your vision holds and beyond. In-numerous forts stand strong, proud, and indomitable, as they have done through the years. Also, don’t miss the beautiful temples sculpted out from basalt rocks, a testimony to human endurance and capabilities. My temples add a unique value to tourism in Maharashtra. My vast, beautiful, and varied land waits…. so LET’S GET RELAXED AND EXPLORE…. There are many Maharashtra Tourism places to explore. I offer so many best places to visit that no other state offers. Some of the famous places in my land include Mahabaleshwar, Matheran, Khandala, Alibaug, Tarkarli, Ganpatipule, Chikhaldara, forts, and many more. These are some of the famous tourist destinations in Maharashtra, however, in this website I have covered many of my favourite places which makes you pack your bags and visit them. 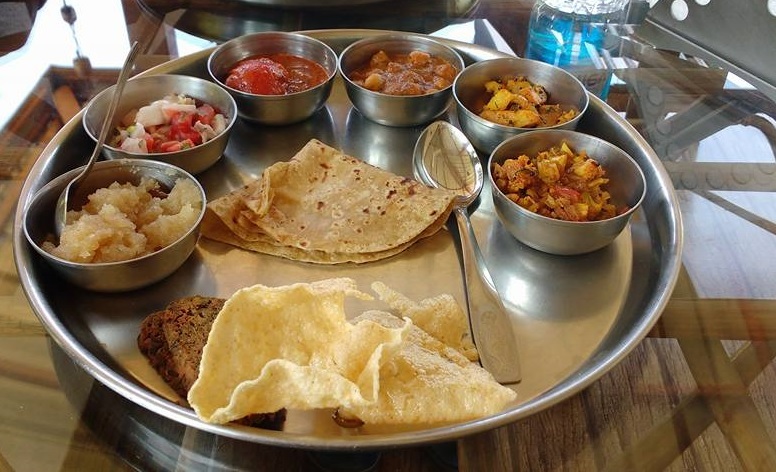 Marathi cuisine has two main branches namely- Konkani and Varadi. The former is the signature of the Konkan or the coastal belt containing a mix of Brahmin, Goan, Malvani, Saraswat, and Guad cuisine. Varadi cuisine belongs to the non-coastal regions –Vidarbha. In traditional preparations, vegetables have an aromatic, sedate delight whereas meat and fish are spicy, hot, and steamy. Konkani cuisine shows heavy use of various spices and coconut. This is the best Maharashtra tourism guide I have ever seen on internet. Keep up the excellent work. I came across this website and I find It truly useful and it helped me out much. Maharashtra is a place which offers various tourism options like hill stations, beaches, caves, forts. A perfect guide on Maharashtra Tourism. I like the way you put the information on your website. I think this is the best website for the one who is looking for all information about Maharashtra. My wishes are with you. All the best. I proud to born in Maharashtra. It is the state of temples, saints, warriors. You have provided good information about Maharashtra tourism. Please write about history of Maharashtra in brief. It would be great if you write more about the life of Shivaji Maharaj. Very nice post. I wished to say that I’ve truly enjoyed surfing around your website for Maharashtra Tourism. I hope you write more about Maharashtra soon! Hey There. I discovered your weblog using msn. This is an extremely smartly written article about Maharashtra Tourism. You have provided nice information about Maaharashtra. I will make sure to bookmark it and come back to read more of your useful info. Thank you for the post. I will definitely comeback. I discovered your Maharashtra Tourism website is a perfect guide to explore the Maharashtra state. Thanks for such nice articles. Hello, you have given magnificent information on Maharashtra tourism. Maharashtra has everything to see for any types of tourists. Hill stations, beaches, wildlife, trekking. Even Maharashtra state inspires photographers for wildlife photography. As a wildlife photographer I prefer Maharashtra state for my hobby. I haven’t see such a nice website dedicated to Maharashtra Tourism. Maharashtra has its own values, its a state of warriors, state of saints, a state of Shivaji Maharaj. Hey very nice blog!! Man .. Beautiful .. Amazing .. I am happy to find so many useful information here about Maharashtra Tourism. Very interesting website. I have visited India 3 years back and accidentally visit your website while searching for our mumbai office address. You have done great job by putting all the Maharashtra tourism related information at one roof. Even I like the way you have expressed your thoughts. Well done! Admiring the hard work you have done to put all the information about Maharashtra Tourism. Please add some packages too to explore Maharashtra easier for travelers. You have touched some nice factors of Maharashtra tourism here. I liked your website and the information you have provided about Maharashtra state. Keep up writing. I’m impressed, I must say. 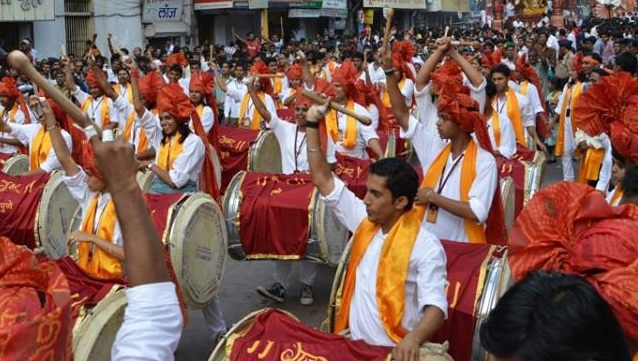 YOu have provided great, educative and entertaining information about Maharashtra tourism. Your thought is excellent. You have make all the places alive. Amazing articles here. I am very satisfied to read your article. Thanks a lot and i’m looking forward to explore Maharashtra soon. you have an amazing weblog right here! I have read most of your articles about Maharashtra tourism and I am dam sure that my next trip destination would be Maharashtra. Dear Admin, Jai Maharashtra. It’s truly a nice and useful information you have provided about Maharashtra Tourism. You are doing a great job by spreading the Maharashtra to the world. I want you to write more about the forts of Maharashtra and Shivaji Maharaj. Awesome, this is the only word to describe your website. A perfect Maharashtra guide. I have visited some beaches in Konkan region and have enjoyed my trip a lot. However, the staying facility need to improve. At some locations there is no proper hotels available to spend night near the beach. Anyways, I liked your website and wish you a luck. Good one. Nice information you have provided about Maharashtra. Keep it up. Thank you for the good writeup on Maharashtra Tourism. Look advanced to more added agreeable from you on Maharashtra state! Very few sites are there which are perfect on any topic. Your website if a perfect guide of Maharashtra Tourism. I liked the way you have separated all the places in Maharashtra. The information you have provided is amazing and helpful to all. Thanks for your efforts. Wow, superb website. The information you have given in this website about Maharashtra tourism is amazing. It is better than any other websites. Its fantastic to read something on Maharashtra tourism. I believe that you have covered many places in Maharashtra and this website turns a best guide of Maharashtra. This is the best Maharashtra tourism guide I came across. Great information provided. Good read about Maharashtra tourism. This is the state where one can find everything. Each place is a unique destination in Maharashtra. Great article. this blog pushes me to make a planned outing and go outing for exciting places as you mention. I proud to be by heart Maharashtrian girl. This is a wonderful website with proper information. The articles are very well written and your article helped me explore Mahabaleshwar. Please keep posting more content and also mention about hotels and restaurants in different places of Maharashtra.